This gallery really is epic! The hummingbird and fox are super sweet! I really, really love that Luna moth. The toucan and the owl are both beautiful, and I really like the story and the tattoo badge itself. Thank you so much nostephot, I love my badges!! Zombie monkey! I love the dangling eye. Holy canoli! I LOVE that owl! And now, get ready to be jealous! My amazing partner deathbeforedishes sent me not one, but TWO crazy awesome badges. She stuck with my deep sea theme for both and I couldn't be happier! First up, my cute little octopus with the button eyes! And my crazy cool diver! I wear every single badge I have and can't wait to put one on!! Awww, the little diver is so fun!! I received from Titaniumhip today, and I literally squealed when I opened the envelope! I love the Belgian comics about Tintin, and I even named my dog Milou after Tintin's dog (Snowy in English, Milou in French). 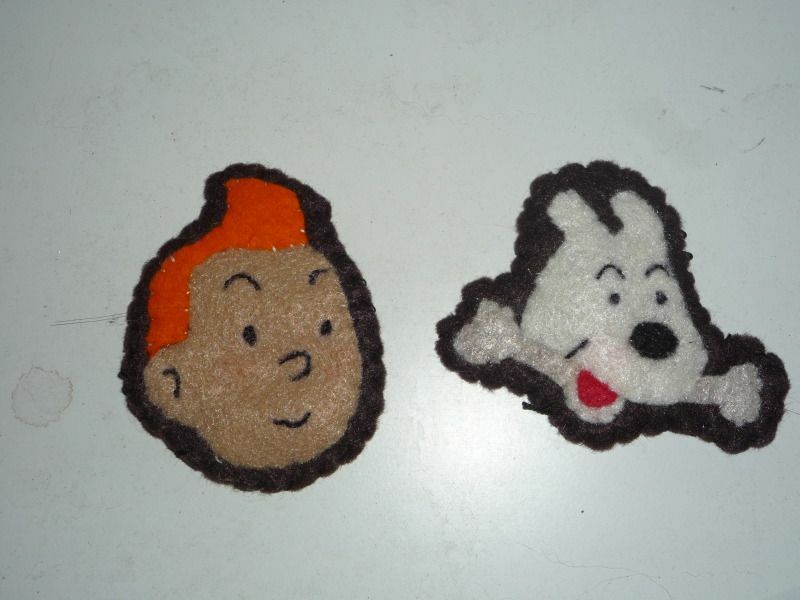 Soooo....imagine how thrilled I was to receive perfectly adorable badges of both Tintin and Milou!!! She got them *exactly* right!! This makes me sooooo happy! Thank you, TH!!! The diver is soooo neat!! Love that design. Tintin and Snowy!!! How cool is that?? ?